Merchandise ordered before Friday 12/7/19 will be posted out. 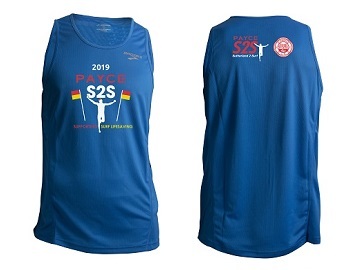 Orders after 12/7/19 can be collected at Wanda SLSC on Saturday 20/7/19, 9:00am-5:00pm, OR on race day at the Finish Zone, S2S Merchandise Stall. 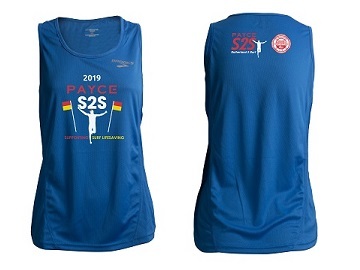 Our 100% moisture-transfer polyester, lightweight and breathable with a flat-seam construction singlets will help you stay dry and ultra cool! 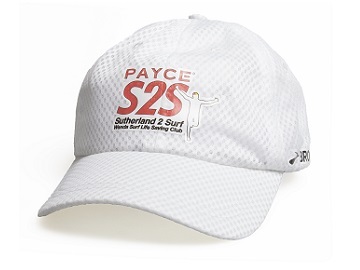 Low profile sports mesh running cap with adjustable strap. Provides excellent sun protection and ventilation. 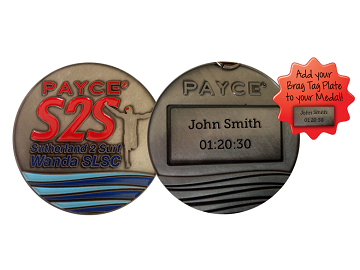 Have a lasting memory of your participation in the PAYCE S2S and keep a record of your time - right on your medallion! When you purchase a Brag Tag plate, it will be automatically linked to your entry. After the event, your plate will be engraved with your name and time, then posted to you.